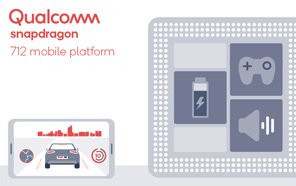 Qualcomm is the first company to come to mind when it comes to mobile processors mainly because of its much enhanced mobile computing, improved artificial intelligence & better data speeds. The company has now officially announced its Snapdragon 712 processor. The latest addition the Snapdragon family combines the company's flagship features with gaming and artificial intelligence. According to Qualcomm, the Snapdragon 712 is based on 10nm process and provides a 10% increase in performance over the Snapdragon 710. If we compare it to its predecessor, the only key enhancements we see are the clock speed, from 2.2GHz to 2.3GHz and the Quick Charge 4+ support. All the other specs remain the same including the Adreno 616 GPU that delivers a superb display experience with over one billion colors. Qualcomm Kryo 360 CPU and Hexagon 685 DSP together with the Qualcomm AI Engine, provide high-level artificial intelligence capabilities. The processor includes the Snapdragon X15 LTE modem, 4G LTE 4 × 4 MIMO support, and License-Assisted Access (LAA) support. The Qualcomm Spectra 250 camera ISP supports 20 Megapixel dual cameras and up to 32MP sensors with 4K video recording on a single camera. 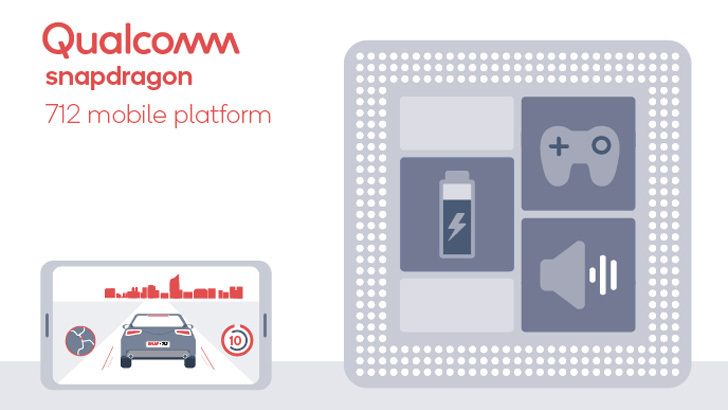 Supporting Qualcomm Quick Charge 4+ fast charging technology, the Snapdragon 712 will enable premium features on mid-to-top range 2019 smartphones at more budget-friendly prices.